While security agencies are coping with the Terror attacks, cyber terrorism and cyber attacks have emerged as new threats with a capability to paralyse critical infrastructure of the country, a top Government official said on Thursday. Cabinet Secretary K M Chandrasekhar said cyber attacks and cyber terrorism could be carried out in such a way that critical infrastructure could be completely paralysed. 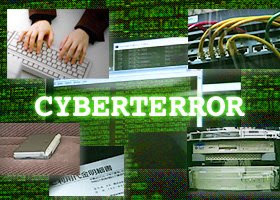 "Cyber attacks and cyber terrorism are the new looming threats on the horizon. There could be attacks on critical infrastructure such as telecommunications, power distribution, transportation, financial services, essential public utility services and others," he said at the CBI's Conference on International Police Cooperation against Cyber Crime. Chandrasekhar said the damage of such attacks could range from a simple shut down of a computer system to complete paralysis of a significant portion of critical infrastructure in a specific region or even the control nerve centre of the entire infrastructure. Speaking at the conference organised in collaboration with the Council of Europe, CBI Director Ashwani Kumar said, "Terrorists' attacks at Mumbai in November 2008 and previous such instances are proof as to how technology has been misused by the terrorists to commit crime and attack the sovereignty of the nation." The CBI director said Voice over Internet Protocol (VoIP) which was used for free communication by people had been used by terrorists to bypass governmental regulatory controls. The Cabinet Secretary cited the Distributed Denial of Service (DDoS) attack on Estonia in May 2007 which led to crippling of banking institutions and blocked the connectivity of the offices of President, Prime Minister, Parliament and other governmental agencies from hence bringing the whole system down, crippling government and private institutions. He said with over one trillion dollars moving electronically across the Internet, it becomes a hot target for criminals. "Annual take by theft-oriented cyber criminals is estimated to be as high as 100 billion dollars and 97 per cent of these offences go undetected," he said. Chandrasekhar also said the government has taken several key initiatives to enhance security of cyber space. "Government has amended the Indian Information Technology Act 2000. Our department of Information Technology has set up the Indian Computer Emergency Response Team (CERT-In). It operates on a 24×7 basis and is actively engaging its users with early warning alerts and advisories," he said. Cyber Crimes in India cannot be reduced till we make strong cyber laws. We cannot do so by mere declaring a cat as a tiger. Cyber law of India must also be supported by sound cyber security and effective cyber forensics. We cannot expect much in the absence of legal enablement of ICT systems in India. It is unfortunate that the efforts of Department of Information Technology (DIT) are far from satisfactory in this regard.